This weekend’s Fortnite duos tournament wound up being a bit of a bust. After four matches were plagued by lag, Epic called it quits, but said they’d be back with new formats after looking into server performance issues. Lag got to be so bad, according to Game Informer, that players wound up getting killed before they were even able to move their characters in the match. While the tournament was set up to award a prize for the most kills in a single match, encouraging more exciting action, players quickly realized that the lag was bad enough that camping was the best option. It made for some pretty boring viewing. 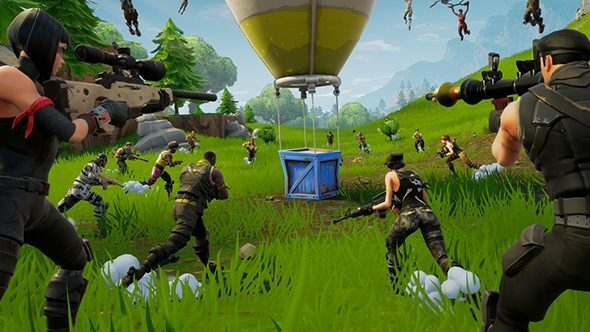 If you like Fortnite, check out our list of the best battle royale games on PC. The original plan was to hold 10 matches, with the first team to win two Victory Royales taking home the first prize pot of $50,000 USD. Epic Games opted to halt this first tournament early Saturday, and the prize money presumably remains unclaimed. The eight-week Summer Skirmish series will continue, however. Epic has earmarked $8 million out of its planned $100 million esports budget to the series, and they plan on showcasing different formats for each weekly tournament. Epic has set up a dedicated page for the Summer Skirmish series, so you can keep up to date with team standings and upcoming tournament formats there. After Week 1, Kevie1 and Notvivid hold the number one slot.